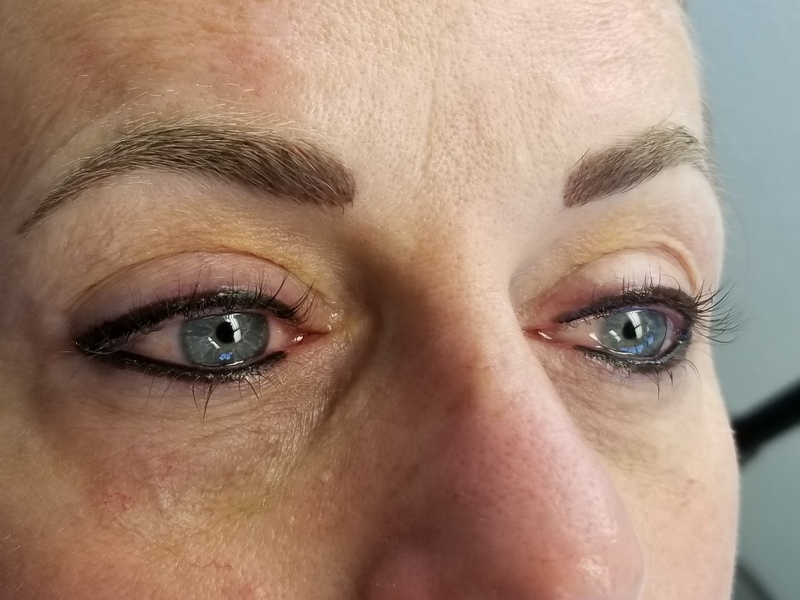 After an eyeliner procedure just add a little Tag45 over the eyes it will help with swelling and get the client home comfortably. The trick is to fan the client's eyes as Tag45 will burn while it's drying! 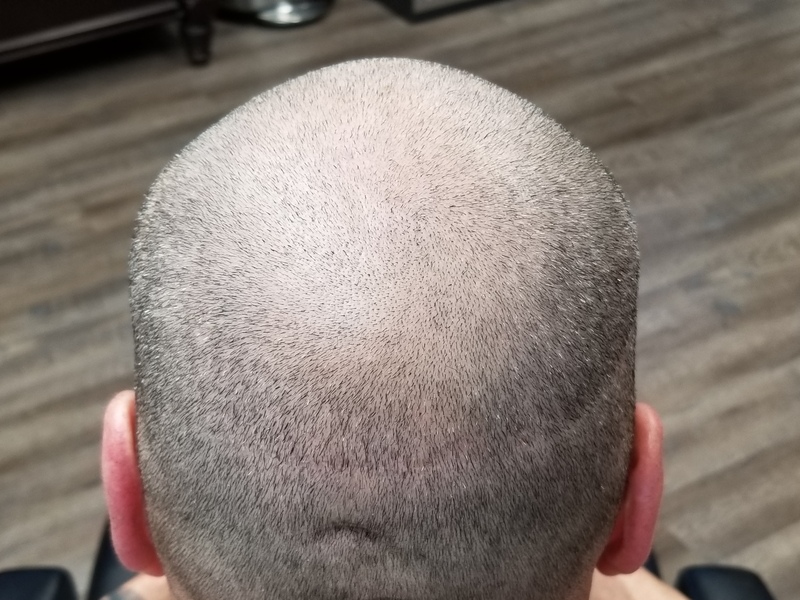 I had a great experience with one of my men clients the other day. 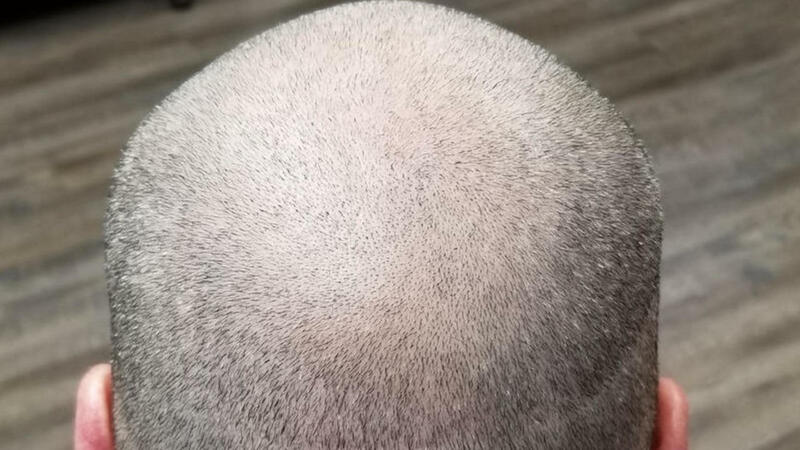 He came to me for a hair simulation treatment that I offer. His wife, a client of mine, referred him to me. 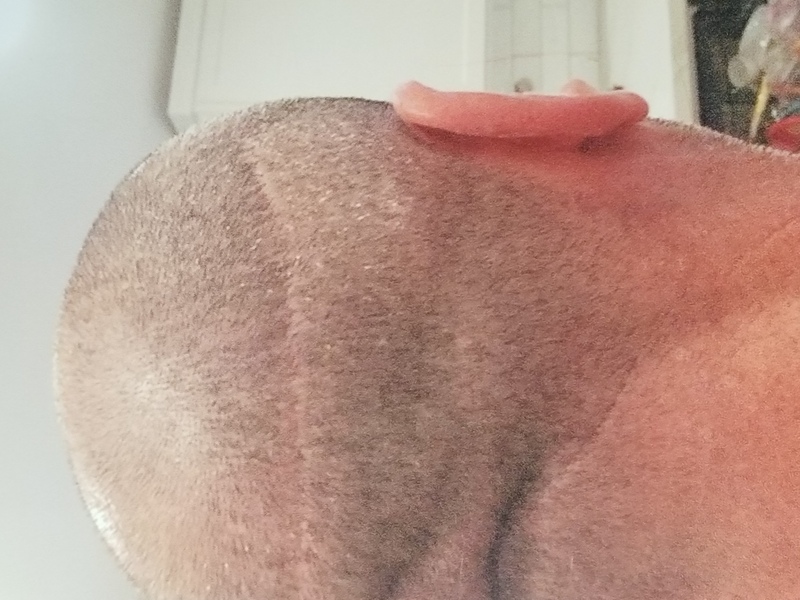 He had a hair replacement surgery done that caused scarring around the back of his head. 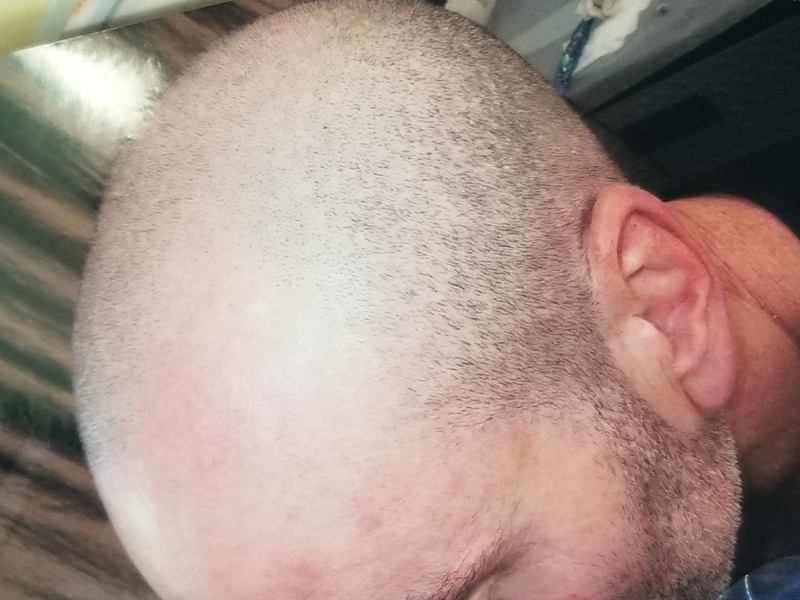 He also still had thinning around the front. He wears a ball cap daily and never takes it off because he is self conscious of it. Here are some pictures. We decided to work on the scarred area because that is what he came to me for originally. 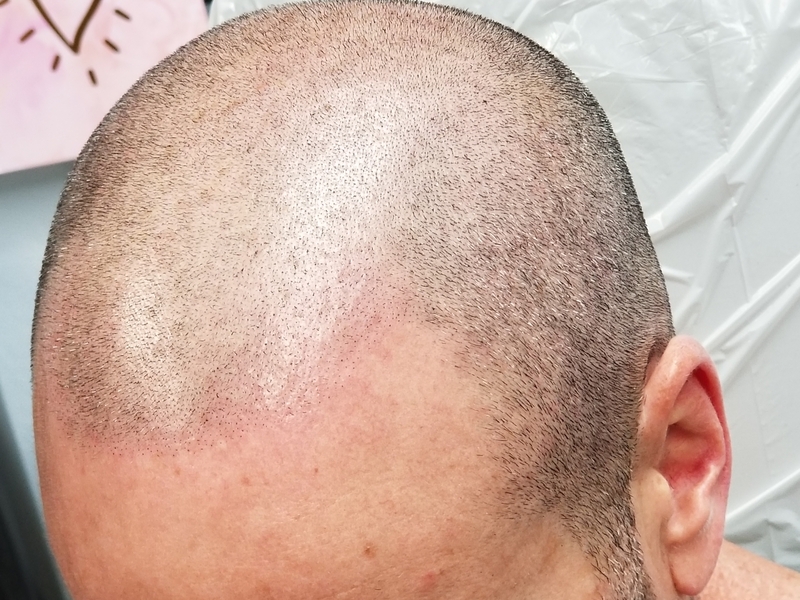 After the first treatment the scar was pretty much gone, he started asking about filling in the scalp area. 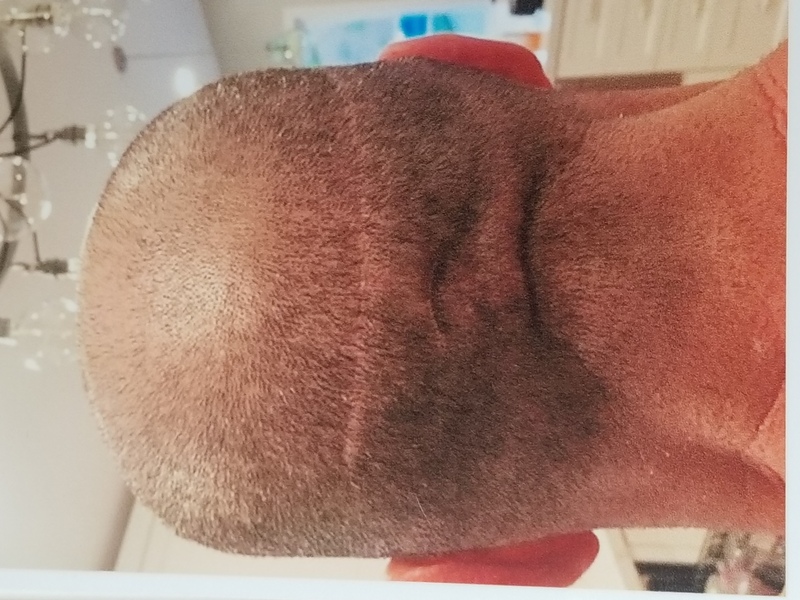 When he came in for his third treatment he wasn't wearing his hat. WOW, It's so nice to see his confidence without the hat. AWESOME this is why I do this! 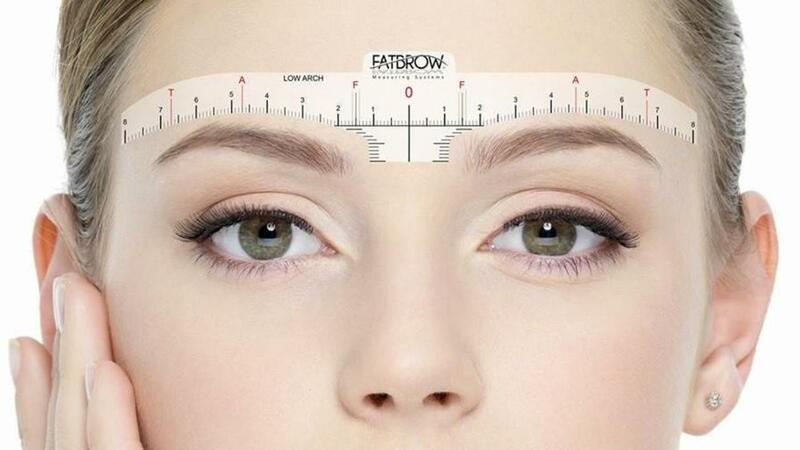 © 2019 Permatech Makeup Inc.
Sign Up and get a code for $300 off: A1 Microblading, A1 Natural Look and A1 Paramedical Micropigmentation.